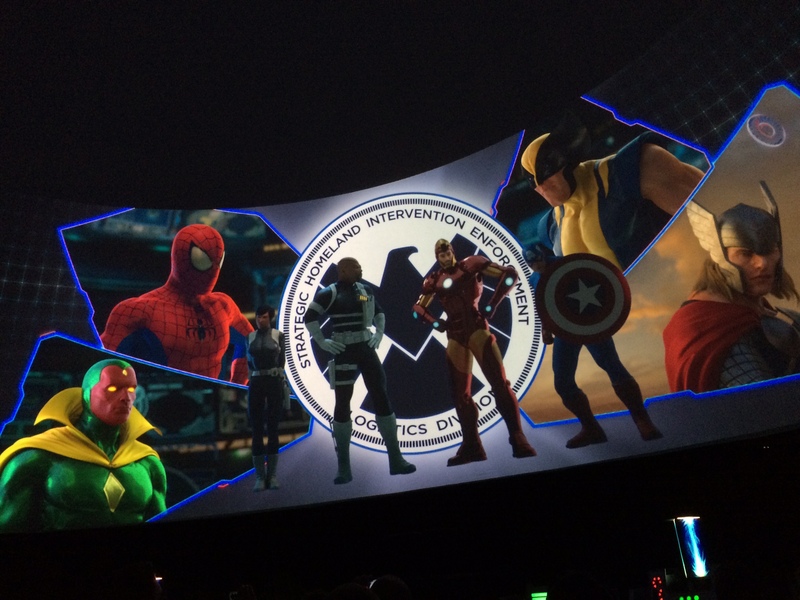 The Marvel Experience is a mobile interactive attraction featuring Marvel charters in seven domes. The attraction is designed to travel to different destinations. 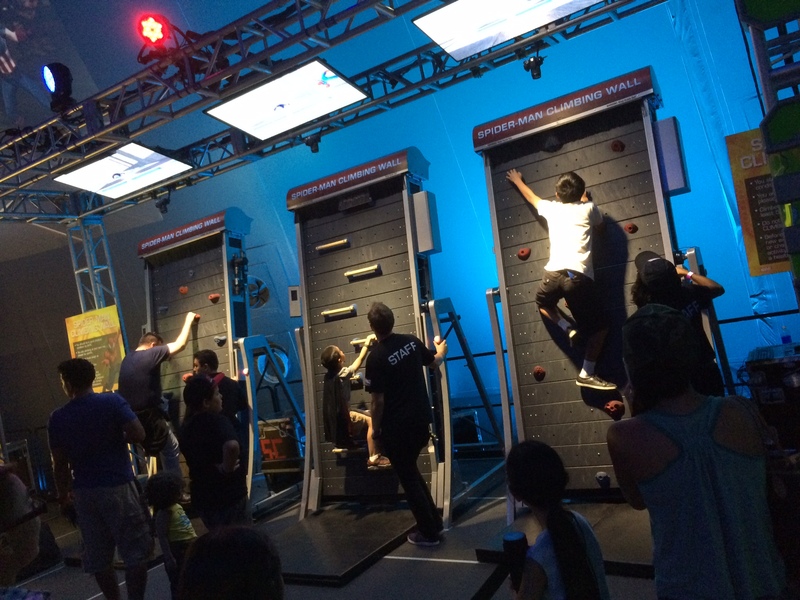 The experience includes many screens and interactive content. 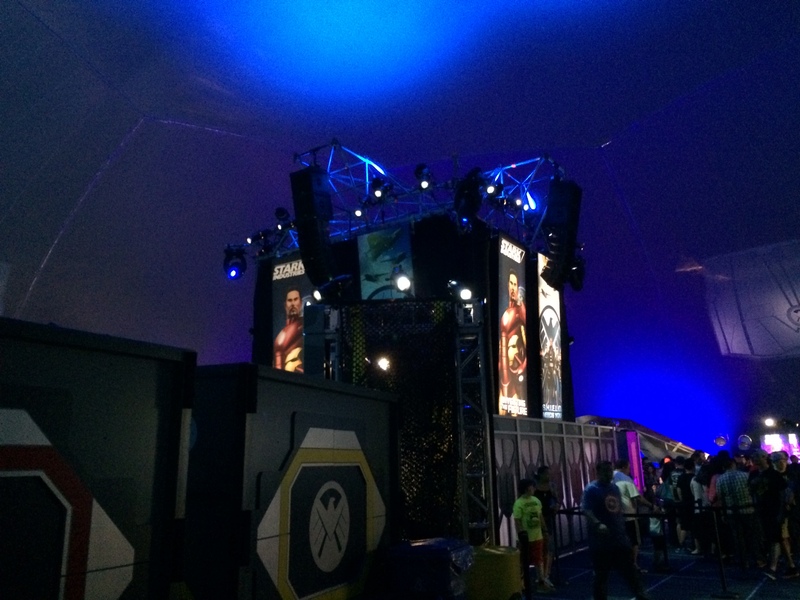 Once you walk under the large SHEILD cargo containers, you enter the first of seven domes. Here you are given a wristband. 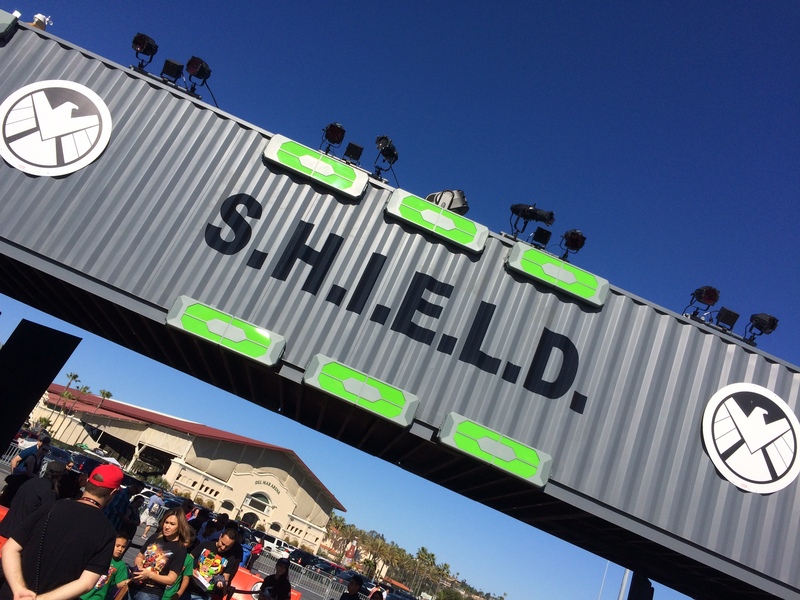 The original idea was to give the guests a RFID chip that connects to the band and will track your progress as a new SHEILD recruit in training. But they didn’t even give us the RFID chip, so the band is useless. Then you move to the next dome. Here the story is set up on a massive screen. 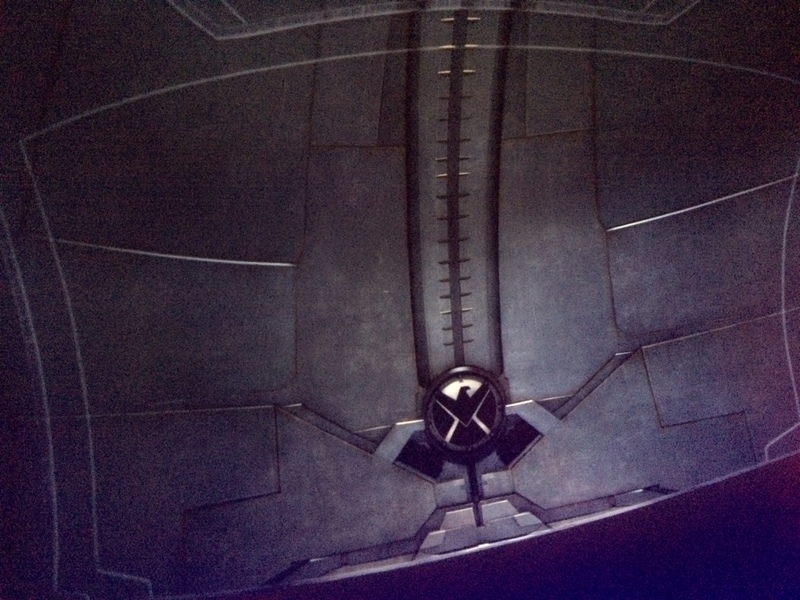 Tony Stark built a dome complete for SHEILD because they discover a robot that can change and gain powers of it’s enemy. 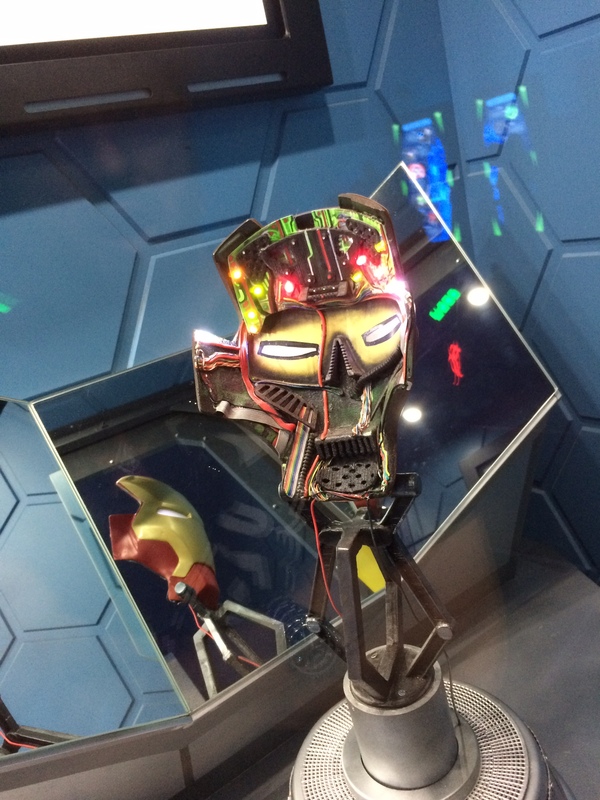 These “Adaptoids” have been discovered on the site of the attraction. Nick Fury and his team explain how the evil Hydra organization is involved. 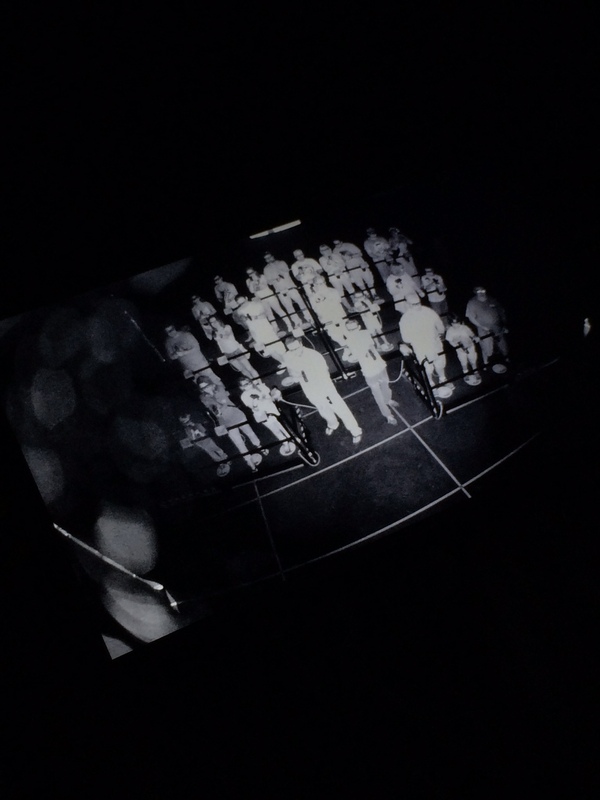 All of the media you see is animated and some was performed with motion capture. 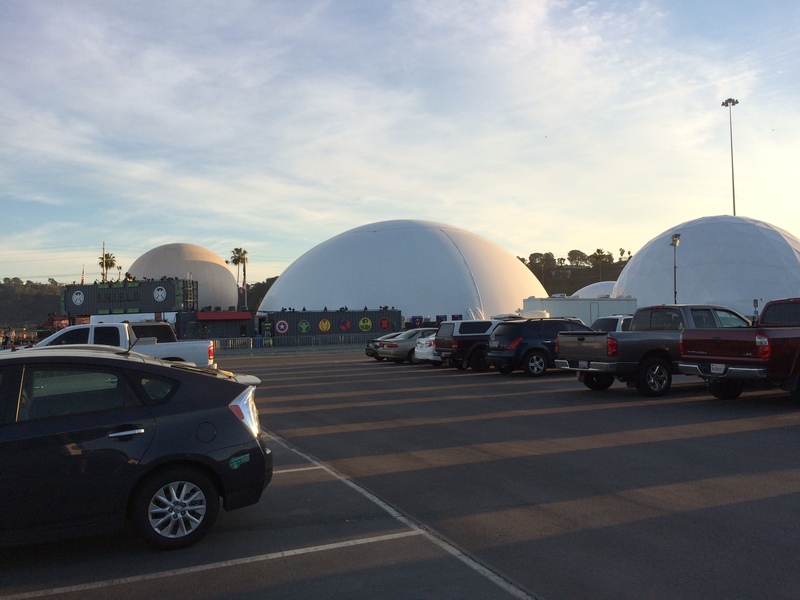 Now you enter the largest of the domes. Here is where things get interesting. 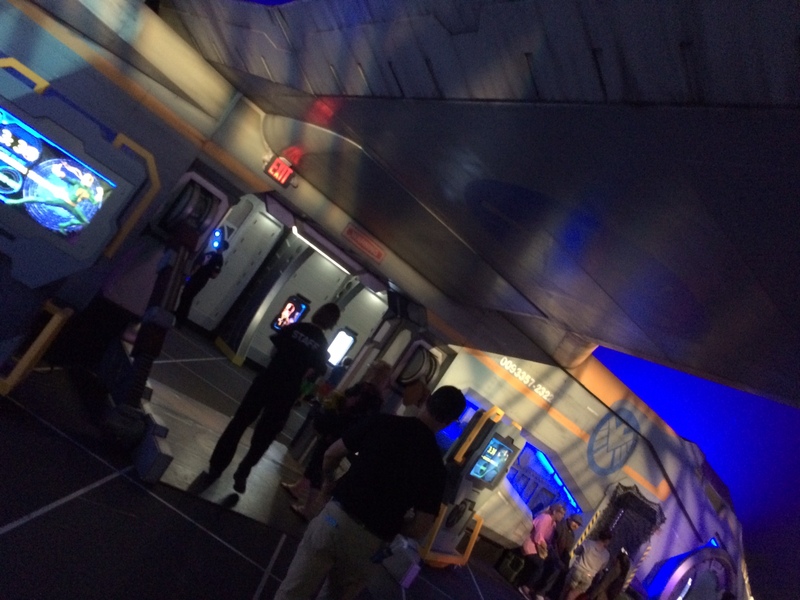 The first part are large interactive tablets where you need to find parts of the Adaptoids underground. This interactive game is very similar to the interactive games in the queue for the Seven Dwarfs Mine Train. 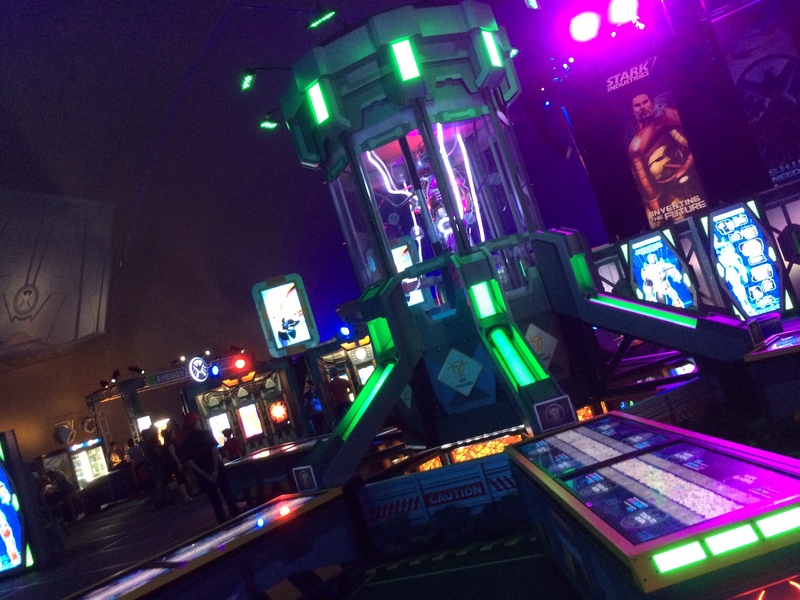 From here you can line up for other “mini-attractions”, such as a shooting game, a laser maze, and screens where you could fly the Iron Man suit and be the Hulk. I did the HaloBlaster shooter. The animation was very rough and my gun stopped working halfway through. Only 24 people can go at a time and the shooter has a horrendous capacity of 240 people per hour. The only other mini attraction I did was the agility maze and I waited 40 minutes for a 40 second attraction. 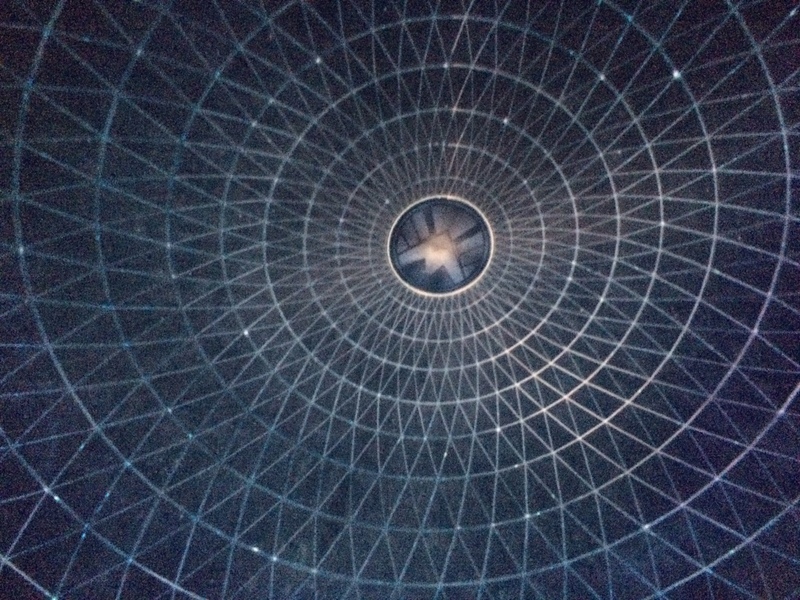 The quality of the main dome was much lower than the rest of the attraction and so was the pacing do to all the lines. The small food court is over priced. Four dollars and fifty cents for a pretzel and eight dollars for some small nachos. 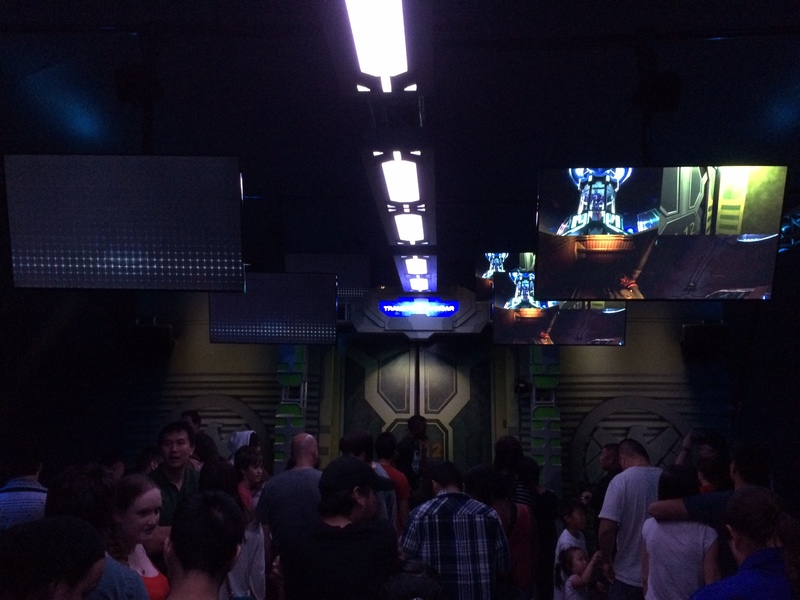 A 70 foot long Quinjet marks the entrance to the main attraction, the 360 dome and simulator. The aircraft was built by Lexington Scenic. 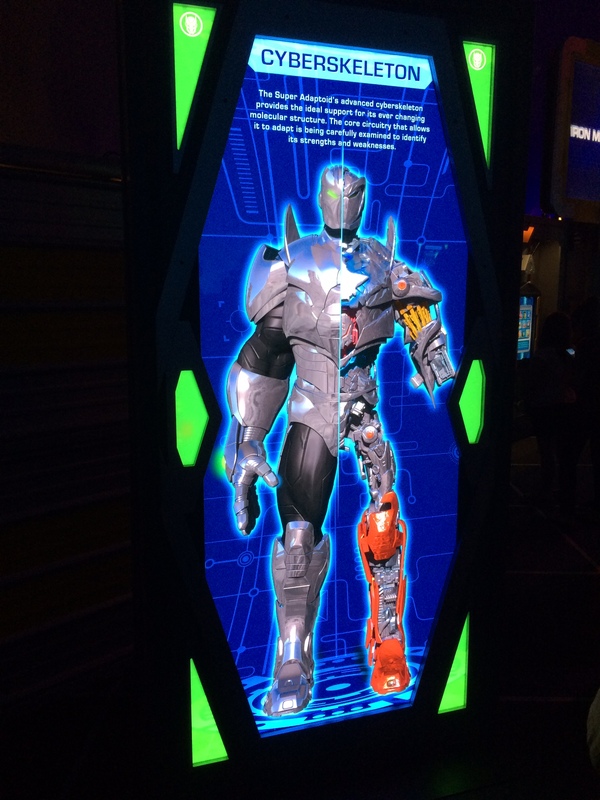 They are also building the sets in the Justice League dark ride. Then you are given a set of 3D glasses made by Infitec, the group who makes the glasses at Universal Studios. 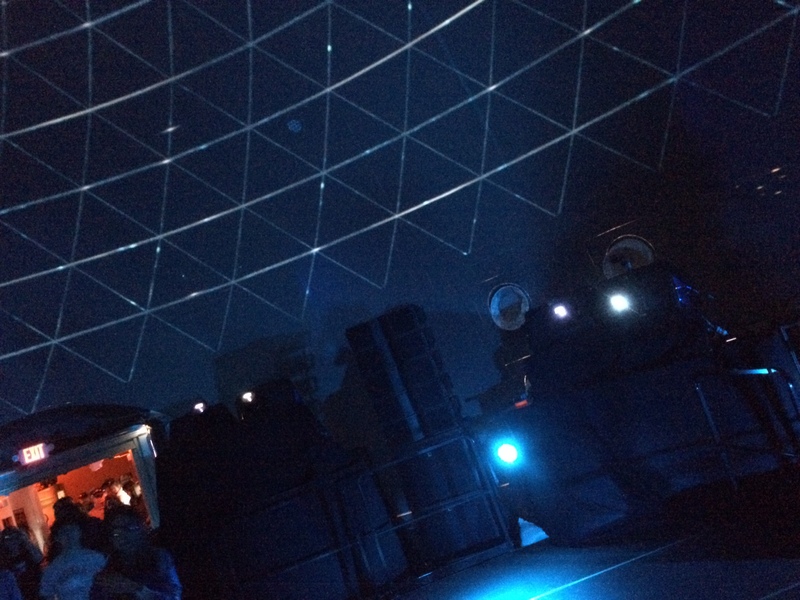 The 360 dome was really amazing. The attraction is basically the next generation of Circle Vision. The way your engulfed and immersed in the content was done well. The media shows us entering the Hydra base and sets up the simulator. A total of 12 projectors are used and all the media was rendered at 4K. This was the highlight of the entire event for me. 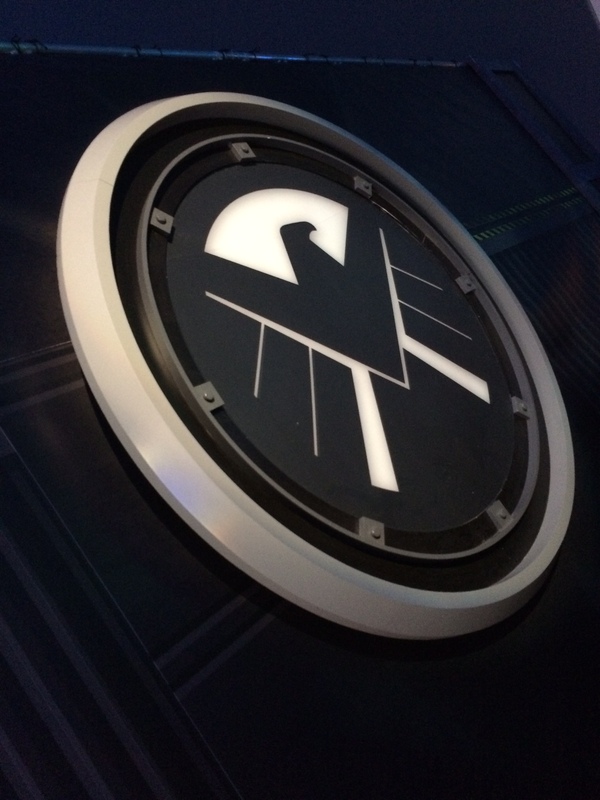 You then walk into a preshow room and are told we are being evacuated from the base because Hydra is attacking. A cool Easter Egg is the name of our shuttle, A113. That’s the CalArts classroom that media director Jerry Rees went to. John Lasseter, Brad Bird, Tim Burton and others went to school here too. There is a cool practical effect I don’t want to spoil. Then we enter the last dome and go down one of the nine rows. 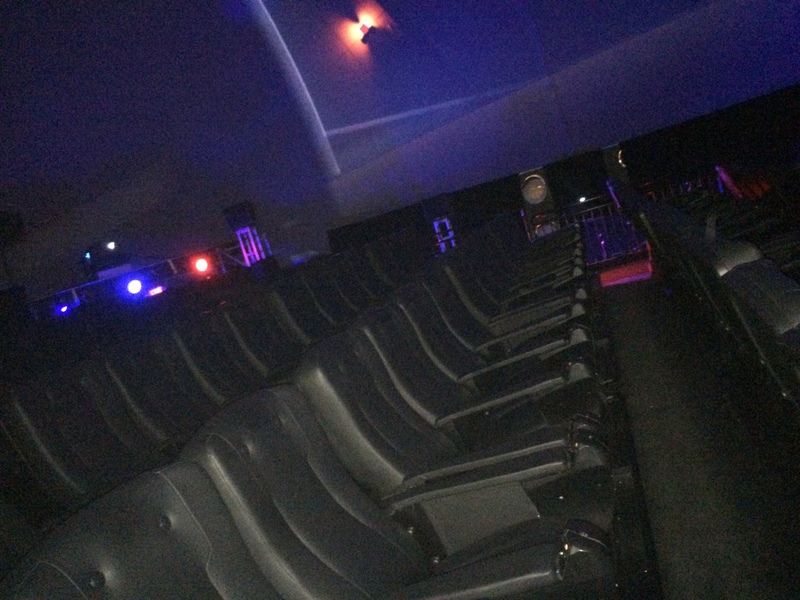 The seats move and have more more freedom than the seats in Shrek 4D. 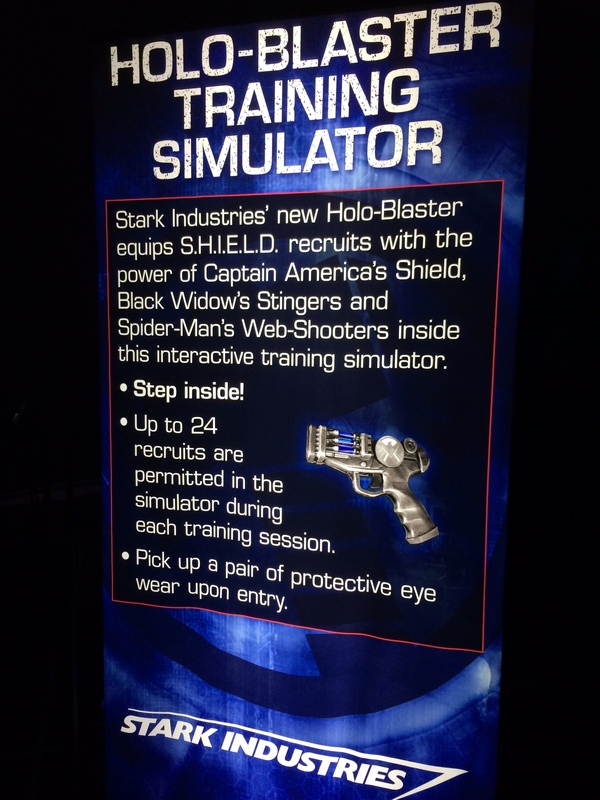 The simulator used eight 4K projectors and you are completely wrapped in the action. As always, you of course exit through the gift shop. Overall the concept is great, but has some faults. The capacity and lines gave it most of the issues. The two attractions at the end were well done and I would love to see the 360 dome used full time in a theme park. 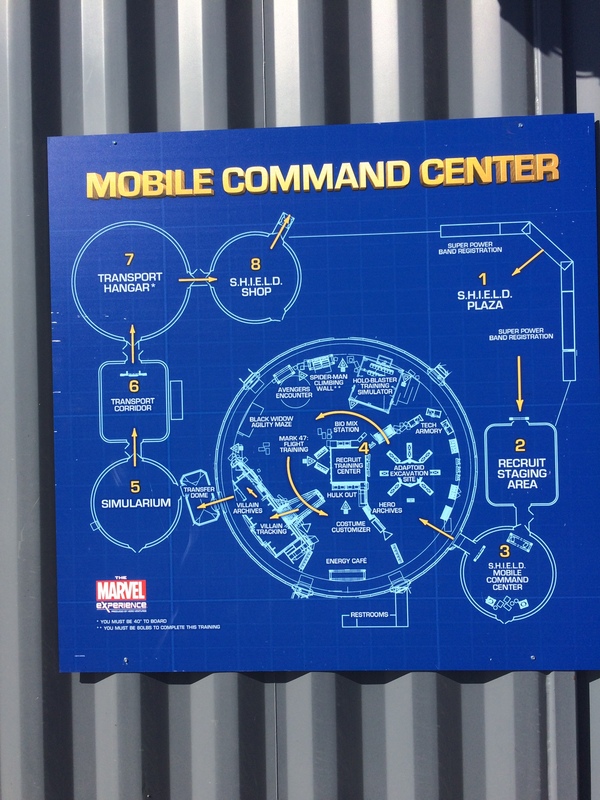 The Marvel Experience has potential and could be fantastic with just some adjustments to make the capacity better. 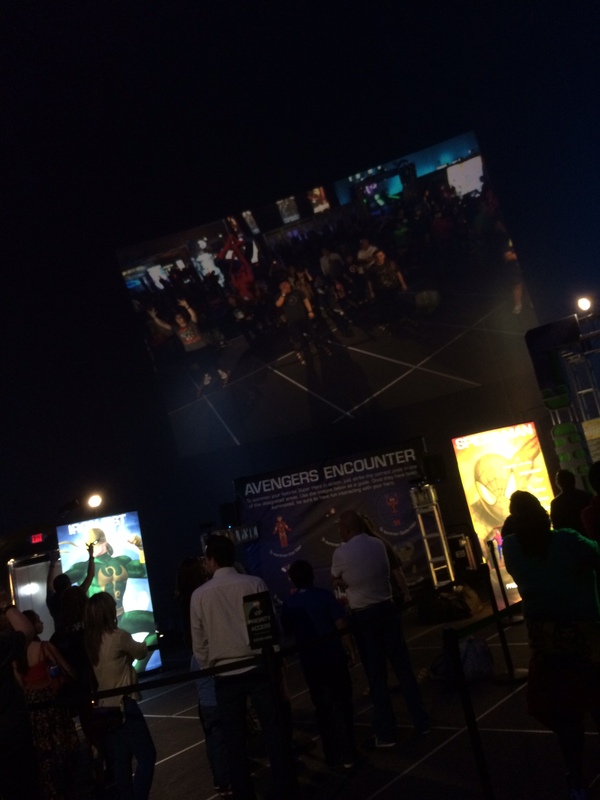 I had a great time and hope to see the Marvel Experience travel to other cities across the nation.